Plasma cutters are tools that are used in metal work to cut through metal of various thicknesses. They can cut through metal plates, bolts, pipes as well as metal sheets. Additionally, they make excellent tools for removing defective welds and for back-gouging weld joints. To accomplish this, plasma cutters use “plasma” i.e. superheated electrically ionized gas. This gas is produced by passing an electric current through a stream of inert gases which are propelled at a high velocity. The electrical current ionizes the molecules of these gases thus creating a jet of hot plasma that can slice through metal. Plasma cutters are a superior option to hacksaws and other torches mainly because they don’t throw off as much metal fragments and debris during cutting. Instead, they provide cleaner cuts with much less debris. The cuts are also more precise. With plasma cutters it is much easier to create intricate shapes and textures in a variety of other materials apart from metal due to the greater precision of the cuts. For contractors working with thin metal, the plasma cutter can be used to cut out stencils along finely drawn lines or create templates without producing excessive heat like some torches do that warps the metal. As you can deduce from the above intro a plasma cutter is an invaluable tool to have in your workspace especially if you deal with metal. You’ll save tremendous time and spend less energy in your activities. Since you are most likely going to want one after learning about their great qualities, here are 8 of the best in the market that are worth their weight in gold. Each has its unique pros and cons but they all guarantee excellent workmanship. By going through the list you should be able to find the model that works best for you. Plasma Cutting vs. Oxyfuel Cutting Differences? This is one of those plasma cutters that many users have had a great experience with. It is an excellent model for use in field work due to its relative light weight. At just 24.4 pounds it can be hauled onto a truck or a van easily. The weight also allows easy transportation from one point to another without any assistance. This model comes in a lush orange color that makes it very attractive. In addition, it is among the most affordable plasma cutters and comes with an assortment of parts that can easily be found locally. This makes it an extremely invaluable piece of equipment. Efficiency — The Super Deal Plasma Cutter is rated a whopping 85% on the efficiency scale. Has a maximum cutting thickness of between 1-12mm. Has insulation rating of class “F”. This means it can withstand a maximum winding temperature of 180°C! No load voltage: 230V. This means the plasma cutter has the potential to provide infinite resistance to current which inversely allows for maximum voltage thus making the cutter highly efficient. Some units may be poorly assembled and as a result may refuse to function or cease functioning after a short period of time. 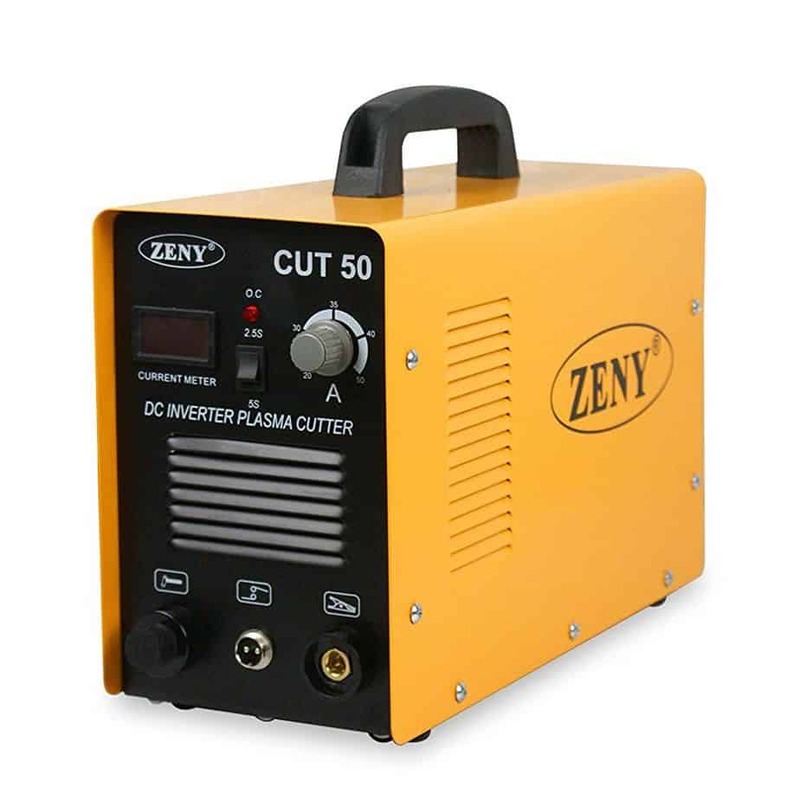 The Zeny DC inverter plasma is ideal for processing metals of machinery. It features a plasma torch that can perform a wide range of tasks including but not limited to repair and maintenance of machinery, automotive work, metal sheet fabrication, site work, light industrial use e.t.c. It is one of the best plasma cutters because it can be used to meet the needs of both professional operators and Do-It-Yourself enthusiasts. 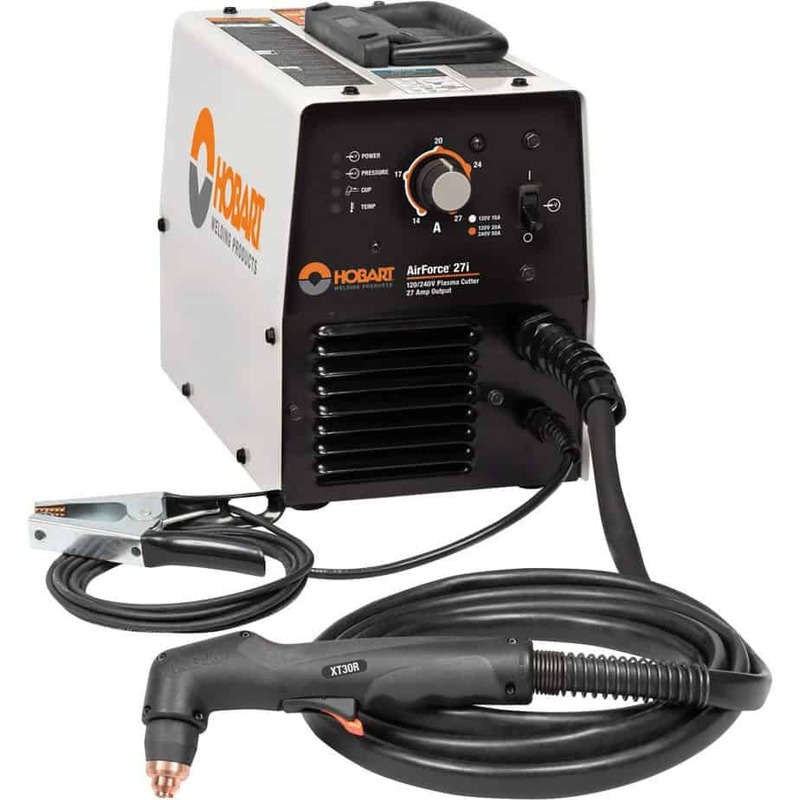 At just 24.4 pounds it is among the lightest plasma cutters in the market. With an 85% efficiency and 60% duty cycle it is undoubtedly a machine that promises great cost savings. Lightweight — Weighs only 10kgs. Load loss of 40V. Load loss refers to the absorbed active power at a particular frequency and temperature when one of the terminals is short circuited but current is still flowing through the other terminal. A load loss of 40V guarantees high equipment protection. Requires between 20-50Amp of current. This makes it very friendly to use in places with low current. Some units may cease to function after a short period of use. 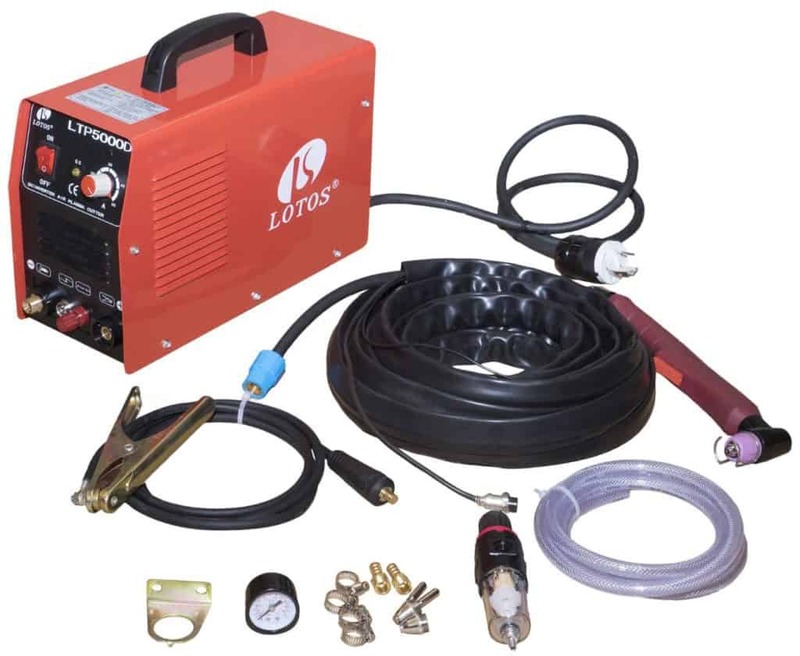 The Lotos LTP5000D 50Amp model makes the list of top plasma cutter reviews for its specialized ability of cutting through rusty surfaces as well as painted and rough surfaces with great efficiency. It is built with pilot arc technology that facilitates excellent cutting of materials while leaving ample space between the cutter’s tip and the material to avoid contact. If you need a cutter that is both environmentally friendly and safe you’ll be pleased to learn that this cutter uses a non-hazardous blend of gases. The machine also comes with dual voltage capability of 110v/220v 50/60Hz. Basically, this means the machine can run either on 110v or 220v of power depending on the needs and circumstances thus providing the user with more options. Attractive case. — It is built with a splendid tinge red exterior that makes it pleasant to look at. Supports tig welding — i.e. it uses a tungsten electrode to generate plasma that facilitates welding. Non-touch pilot arc. — It enables cutting of metal without any contact between the arc and the metal. Dual voltage capability. — Can support either 110V or 220V. Excellent for small business projects and home DIY jobs. Some units malfunction or stop functioning after a short period of use. If you frequently work with steel i.e. stainless steel, mild steel and steel alloy and you need a plasma cutter that has the ability to supply gas ahead and that also has the power to turn off any gas that is delayed then the Goplus CUT-50 electric digital plasma cutter might be best suited for you. This machine also has a variety of other stunning characteristics such as low power consumption, does not produce noise, has a high cutting speed, it is highly reliable and lightweight. Additionally, it is relatively inexpensive, has a simple startup and is fairly easy to use. No load voltage 240V. — Enhances the efficiency of the plasma cutter beyond that of average models. Supports arc welding — This means the cutter is very diverse and can either use alternating or direct current, or, use consumable and non-consumable electrodes. Versatile environment use — Can function optimally in temperatures as low as -10°C (winter months) and higher than 40°C (summer months). Not affected by mild humidity. — Can perform optimally on a maximum dampness level of 80%. Very quiet. — Produces minimal noise when slicing through metal. Energy saver. — Its ability to perform on low voltage and a low rate current output make it very energy efficient. This is a powerful and versatile plasma cutter that stems from a company that is renowned for producing top notch machines for years. If you enjoy owning a machine that has an inverter based design and is built from highly reliable technology with quality materials and excellent craftsmanship then you are sure to get your fix with this model. This model is also super efficient. You can slice through 5/8” with just 240V of power! Its simplicity and ease of use make it among the best plasma cutters for anyone seeking equipment that is uncomplicated. The multi-voltage plug that is assembled with this unit allows connection of the device to a power source without any tools. Multi-voltage plug. — The plug allows the cutter to use either 120V or 240V power supply. Wind tunnel technology. — This technology safeguards the internal components of the Hobart 500565 by preventing the entry of dust and other particles. Fan-on-demand — The Hobart 500565 has an inbuilt fan that is activated only when the unit detects the presence of dust and debris inside it. Precise cutting mechanism — It slices through metal more precisely than the majority of plasma cutters. Versatile plasma cutter. — Can be used on steel of varying thicknesses. Lightweight — Weighs only 32 pounds. Can easily be lifted by an average person without assistance. Looking for a plasma cutter that promises to lower your costs of cutting and gouging metals? If so, look no further than the Hypertherm 088079 Powermax30 XP. In addition to cost saving, this plasma system promises to enhance the cutting and gouging process by delivering a high performance that is rivaled only by a few models. This machine comes with a convenient storage case that can be used for maintaining and organizing consumables. Its diverse system accessories further help it to improve performance as well as expand its applications. Whether you plan on building a skyscraper or plan to engage in some light metal architecture the Hypertherm 088079 Powermax30 XP promises you quality work. Duramax LT torch. — The torch is built from impact and heat resistant materials and is designed to ensure a firm and comfortable grip when performing welding. Auto-voltage. — The auto-voltage feature works to the machine’s advantage by enabling it to adapt its operations depending on the available voltage i.e. 110V or 220V. Hard carry case. — The unit is sold with a hard carry case to safeguard the machine while in transit. Accessories — The Hypertherm 088079 comes with an assortment of free accessories such as eye shields, shoulder strap, gloves, fine cut consumables and standard consumables. Plug adapters are also included in the package. Lightweight — Weighs only 9.8kgs. Cuts through any kind of metal regardless of the condition i.e. rusted, painted e.t.c. Probably one of the highest price tags for a plasma cutter. 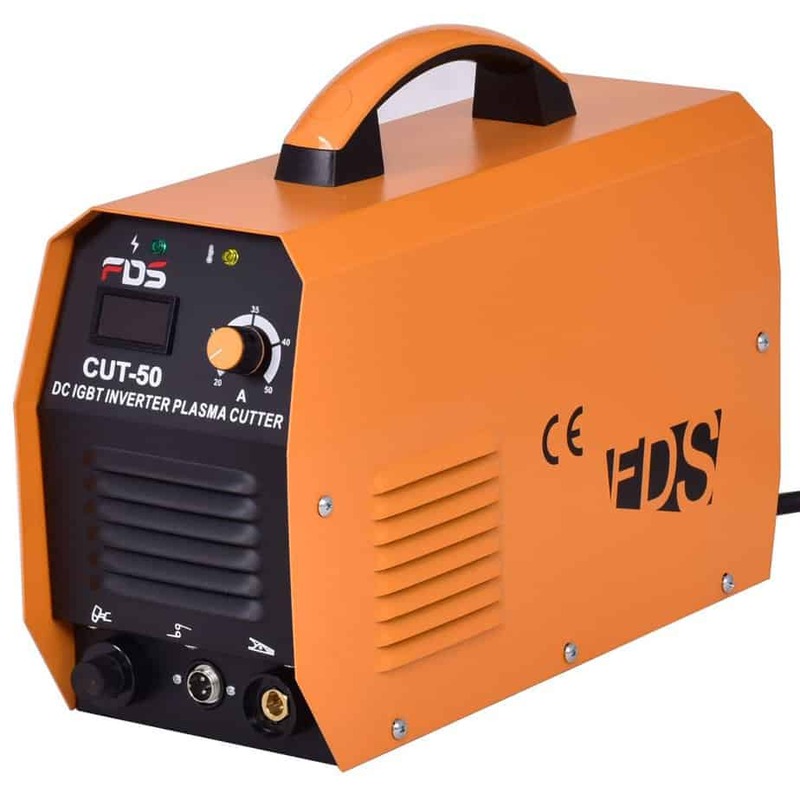 The 2019 Everlast SuperCut 51P is the successor to the popular SuperCut 50P and hence the latest plasma cutter from Everlast manufacturer. If you enjoyed the earlier model – the SuperCut 50P – you are guaranteed to love this one even more. Everlast greatly improved this cutter to ensure minimal start delays by including a high frequency arc in the machine. The high frequency arc is ideal for users seeking a cutter for making regular ¼² to 3/8² incisions. Whether you’re looking for a basic plasma cutter that is well priced for your job or for a hobby, the SuperCut 51P will make an excellent addition to your tool collection. Highly reliable — Everlast – the manufacturers of this brand – have a reputation for producing quality electronics and machines. Low current draw. — It does not require much current to produce welding plasma. This makes it very efficient as well. Once initiated the machine takes a very short time to ionize the inert gases for arc welding to take place. 3 year warranty. — The warranty also comes with a 30 day money-back guarantee for customers who may like to return the product. Improved design — The MOFSET design is much more superior to the earlier SuperCut 50P model. Although it’s not expensive the pricing is not as competitive like that of units from other brands. Looking for a top notch plasma cutter 2017 that offers a variety of welding options and cutting functions? 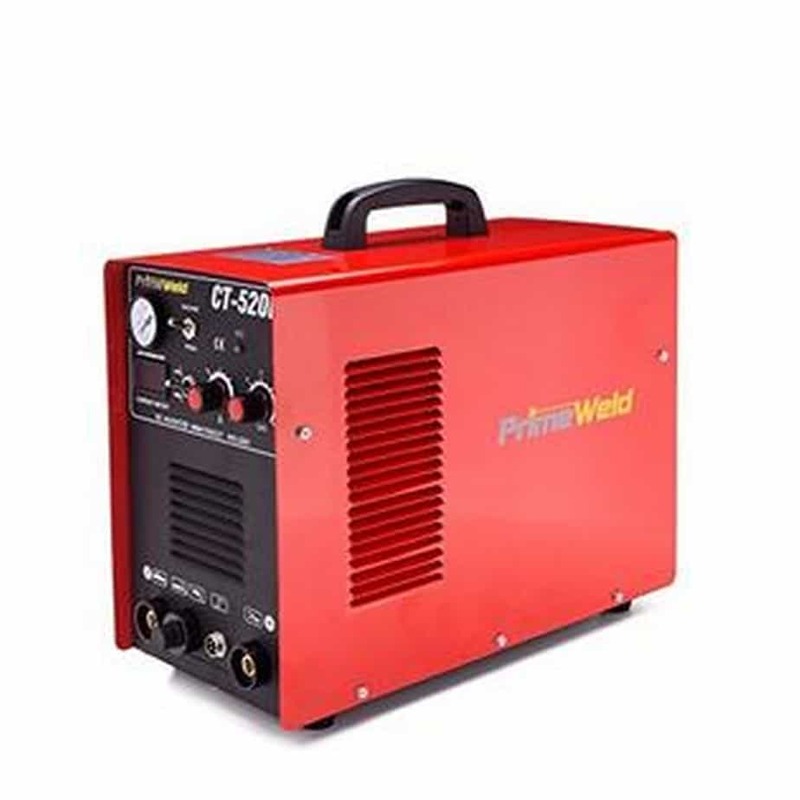 If so, consider the PrimeWeld CT520d 50 Amps Plasma Cutter. This cutter is among the best for individuals who are just starting to use plasma cutters. It is very efficient – has an 85% power efficiency rating, it can make larger cuts with relative ease without slowing down or requiring the user to pause occasionally, plus, it is lightweight. At 32 pounds, this unit can be lifted by an average person without any assistance making it very convenient. Additionally, users can switch between DC STICK and DC TIG quickly and easily - a characteristic that few plasma cutters possess. 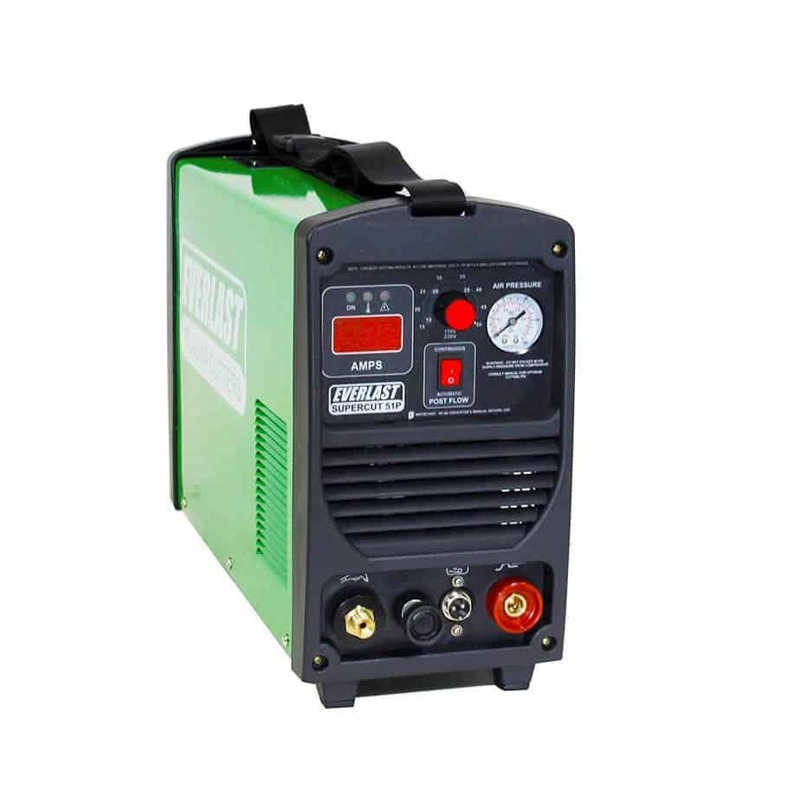 Combo plasma cutting — The PrimeWeld CT520d combines arc welding with TIG/stick functions all into 1 enabling it to perform a variety of welding and cutting functions. Highly efficient. — The machine has an 85% power efficiency rating. Built in air gauge. — The gauge keeps off dust and other particles from interfering with the internal components of the cutter. Input power frequency. — It has an input power frequency of 50Hz/60Hz. Highly portable — Weighs only 32 pounds. Some units are unable to keep a constant arc on the plasma end. There are many benefits to owning your own plasma cutter. Whether you enjoy working with metal as a hobby or you deal exclusively with metals in your job, owning your personal plasma cutter will accord you great convenience, lower your cutting costs and ultimately save you time as well. If you’re a fan of oxyfuel cutting and are just learning about plasma cutting technology you should know that plasma cutting trumps oxyfuel cutting as far as speed and efficiency are concerned. 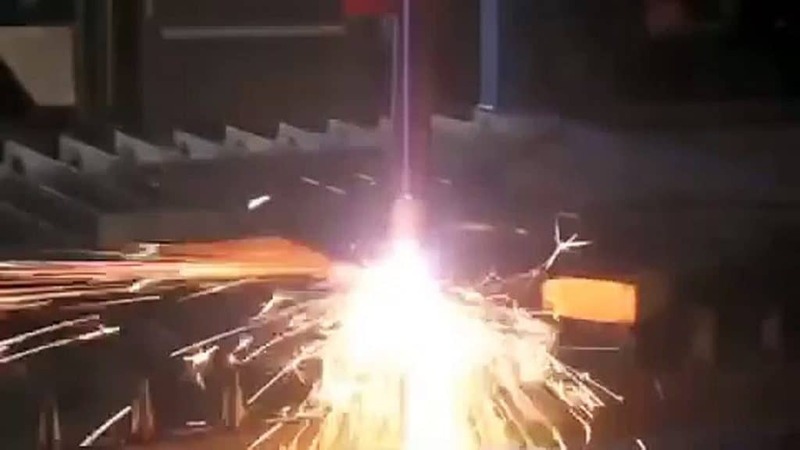 A plasma cutter projects a jet of ionized gas in a high velocity from a constricted orifice. This ionized gas, which is simply known as plasma, conducts the electricity from the cutter’s torch projecting it to the work piece a.k.a metal causing instant severing of the bonds of the metal thus causing the material to melt. This results in a cut. A plasma cutter can be used on a wide variety of metals due to the very high temperatures that are produced through this method which does not rely on oxidation or burning. Oxyfuel cutting, on the other hand, cuts metal through oxidation or burning. The downside of this technique is that some metals tend to form oxides in the process of cutting that render the method ineffective inhibiting further oxidation from the torch. Aluminum and Steel are examples of such metals. In this regard plasma cutting is much faster and more efficient. The plasma cutter industry is continually evolving. More and more manufacturers are joining the market at a rapid rate and flooding it with their own cutter inventions and models; each boasting unique specifications and abilities, with the intention of grabbing the customers’ attention. With so many options available and increasing by the day the process of choosing a plasma cutter has become more complex than ever before. As a customer, you cannot afford to be complacent when it comes to selecting a cutter as this might work out against you in the short or long term depending on the model that you choose. 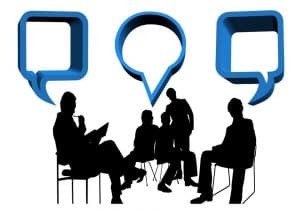 Here are a few tips (and questions you should ask yourself) to help you find the best model for you. The tips are random and not organized in hierarchy of importance. One criterion that is used to distinguish plasma cutters is the size/thickness of the metals that they are built to cut through. This is indicated in the description of all plasma cutters so be sure to look for it before making a purchase. Most plasma cutters have a thickness cutting range of between ¼” and ½”. 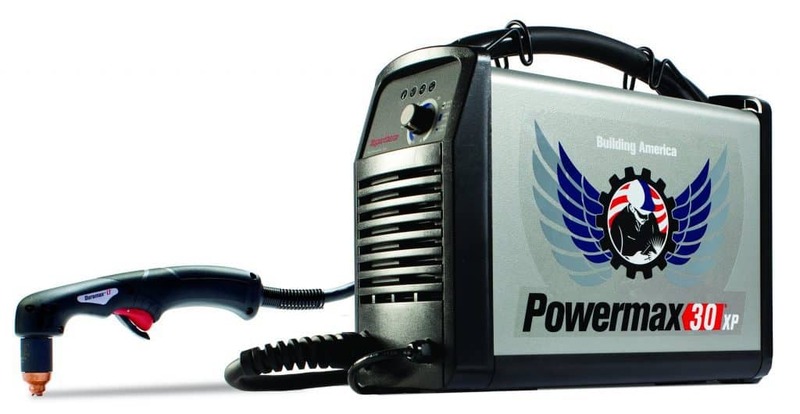 The Super Deal Plasma Cutter 50 Amp CUT-50 Digital Inverter, for instance, can slice metal to a maximum of 1/2″. To determine the best cutter to purchase start by asking yourself what is the size of metal that you will be working on frequently. If you’ll be cutting a lot of ½” thick pieces then seriously consider buying a model that is built to cut through a slightly higher level of thickness. Purchasing one that has the exact specifications that you need may occasionally make poor cuts especially as it ages. In some instances the level of thickness may not be listed on a product but instead you may notice amps have been mentioned. The amps of a plasma cutter are directly related to the ability of that cutter to sever metal. That is, the higher the amps, the greater the thickness it can cut through. Typically, a machine that has 25 amps can slice through a ¼” metal while one that has between 50-60 amps is engineered to cut ½” metal. Additionally, a machine rated 80 amps can cut anywhere between ¾” and 1” of metal. What Environment Will You Be Working In? The type of environment that you will be working in- particularly if you use the machine on a day to day basis- plays a huge role in its effectiveness and the duration that it can serve you. If you plan on using it in an environment that is shared by other metal workers and is sure to be filled with metal shaving (from the excessive grinding) and dust then it is advisable to choose a machine that incorporates Fan-On-Demand™ or Wind Tunnel Technology™. A good example of this is the Hobart 500565 Airforce 27i Plasma Cutter. The technology will work to the machine’s protection to prevent any grinding dust from settling on the critical components of the cutter. The fan turns on only when the presence of dirt particles is detected in the cutter’s chamber. This technology makes the units more efficient than the traditional units with a fan that run constantly - consuming energy unnecessarily. What’s The Cutting Speed You Prefer? Speed is critical if you plan on using the cutter for your job activities that involves metal work. Speed can make a huge difference in the time it takes to complete a project and subsequently the amount that is earned. 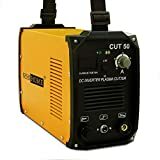 As you’ve probably noticed in the plasma cutter reviews above, cutters come in different amperes. We’ve already established that amperes influence the cutting capability of these machines but what you might not know is that the number of amperes also determines, to a great extent, the cutting speed. A good rule of thumb when choosing a cutter that can function at a faster speed is to buy one that exceeds the requirements of the metal that you plan to work on. For example, if you plan on using the cutter on ½” metal sheets then buy a cutter that can is designed for 3/4″ or 1″ jobs. While it is true that a machine with the exact specifications as that of your metal will work perfectly fine there is no guarantee that its speed will exceed that of a machine built for denser material. If you’ve found plasma cutter reviews with the term “duty cycle” and you don’t know what that means, it’s simply a term used to denote the period a plasma cutter can be used continuously before it overheats and requires cooling. Normally, duty cycle is expressed in percentage form over a 10 minute span. For example, if a cutter is rated as having a 70% duty cycle at 50 amperes then it means that 50 amperes of current can be used continuously for 7 minutes out of 10 minutes before the machine requires rest. From this we can deduce that the higher the duty cycle associated with a particular plasma cutter the longer the duration it serves. If you’re a professional craftsman who deals with metal you need to factor in the duty cycle as this will affect the duration to complete certain projects which will in turn affect your level of income and productivity. Hobbyists can also consider the duty cycle if they prefer working on their projects with minimal downtime. Assuming you’ve already decided on a plasma cutter, one of the ongoing expenses you will incur as you use the cutter will be for consumables. Consumables involve electrodes, cutting tips, the shield, nozzle, retaining cap e.t.c. These parts often require frequent replacement or swapping as time goes on to enhance the performance of the cutter. The cost of consumables for plasma cutters varies from model to model and from brand to brand. 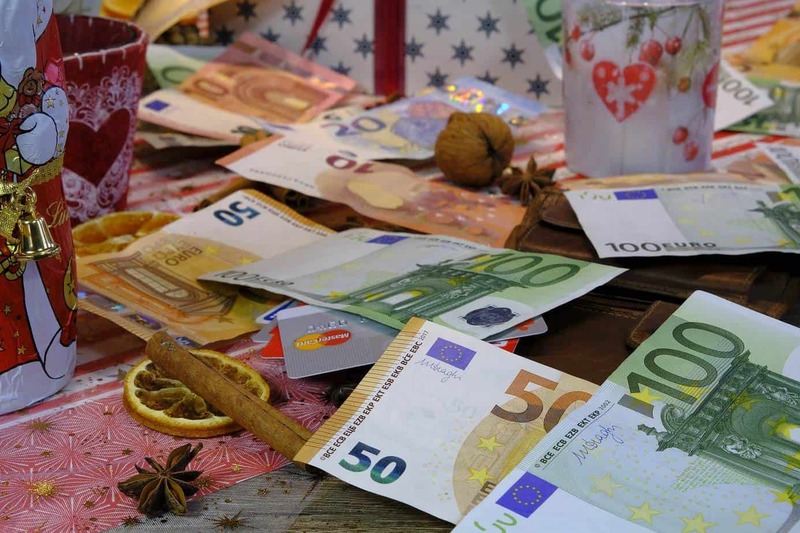 The expenses incurred in some models over a given period of time may be more or less compared to other models based on the number of consumables that are present. If you’re looking for a cutter that is cheap to maintain then it is advisable to pick one that has a small number of consumables. This translates to more cost savings due to fewer parts that require replacement. In addition to consumables, you may also need to base your decision on other equipment that comes with the cutter. This refers to accessories such as gloves, eye shields, shoulder strap, e.t.c The greater the number of accessories that come packaged with the welder the more money you stand to save since you don’t have to buy these related items separately. When considering the accessories, it is important to also factor in the price of the plasma cutter. Sometimes it may be economical to buy a low priced cutter and buy the accessories separately than to purchase a cutter that is overpriced just to benefit from a few extra add-ons. Do due diligence to ensure you’re able to make the right choice based on the circumstances. 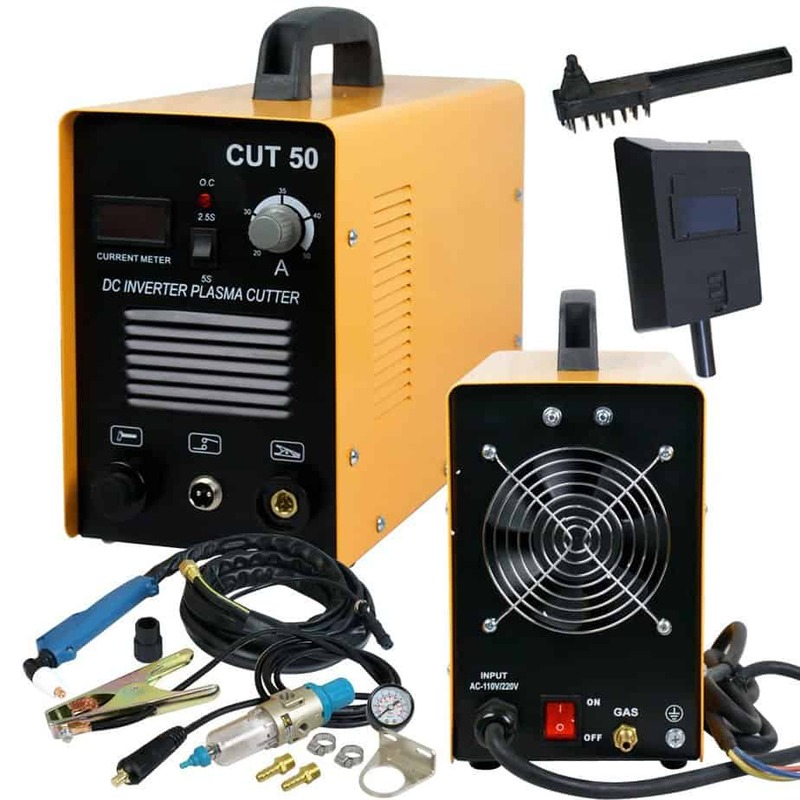 A desiccant air dryer in a plasma cutter is not an absolute essential but it ranks highly among the things to consider in a cutter before making a purchase. 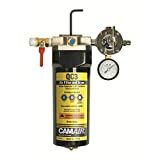 Its purpose is to remove water vapor and other hydrocarbons in the cutter that might interfere with the process of ionizing the compressed air. This results in more powerful plasma that can cut through metal with greater ease than a cutter without one. Additionally, these dryers help to preserve the cutter. Moisture inside the system causes damage in subtle ways that chip away at the efficiency of the device and raise the maintenance costs. By eliminating the moisture the user is guaranteed to lower the operating costs significantly. A good filtration system should be considered to keep away oil and other dirt particles from invading the innate chamber of the cutter and interfering with its functionality. If you’re a user who is working in a plant where you have to constantly move around with your plasma cutter from site to site then portability is a factor that you should keep in mind when making your purchase decision. In such a case, look for a cutter that is lightweight such as the Lotos LTP5000D 50 Amp Plasma Cutter that weighs 26 pounds which you can use a shoulder strap with, or you can choose a heavier model that can function on a valet style undercarriage for enhanced movement. Last but not least, always prioritize safety in any cutter that you buy. Plasma cutters require considerably high voltage to form the plasma. Sometimes this can be as high as 300 volts. Most machines come with a nozzle that safeguards the user from potential hazards of such high voltage. If a particular cutter does not have a nozzle as part of its package it paves room for serious accidents to occur. 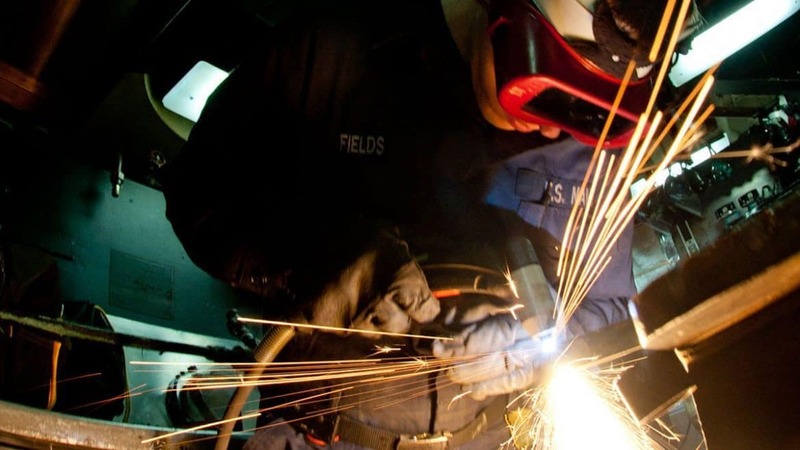 To be safe, purchase only welding machines that have a safety nozzle that prevents the welding arc from starting unless the nozzle is properly positioned in its place. Most of the tips offered above also apply to handheld plasma cutters. That said; there are a few points users should keep in mind when performing handheld plasma cutting. These have to do with safety. Always wear a pair of gloves and eye shades to protect your eyes from the plasma arc. One of the best eye covers is a grade 5 green color shade. It offers protection similar to that of a welding mask but with more visibility. Use a quality face mask to protect yourself from the nasty fumes that will envelope your face as you go about welding. This is especially important when cutting stainless steel which produces toxic fumes. One of the gases – Chromium -has been linked to sinus, nasal and lung cancer among other cancers. Although many plasma cutting machines have fume extraction systems, never fully rely on this protection but instead take the aforementioned precautions to guarantee your safety. It is also important to master the proper cutting, gouging and piercing techniques to avoid any potential safety risks. When searching for a plasma cutter don’t forget to inquire about the product warranty of a given model and the seller’s return policy. Some companies tend to overstate the functionality of their plasma cutters in a bid to boost sales. A good return policy will ensure that you are adequately compensated in case the unit you purchase does not live up to its marketing. The above aforementioned plasma cutters are highly sufficient for most tasks in the home that require light metal cutting. Those that are specialized for denser metals/materials have been pointed out in the pros section. The main difference between these cutters rests in the design and performance. Take some time to go over the reviews to make an informed choice. Whichever option(s) you choose you are guaranteed a very positive experience.